We just can’t get enough of this divine bedding label; Jacob & Bonomi have done it again with yet another gorgeous design just perfect for brand new baby girls and boys. 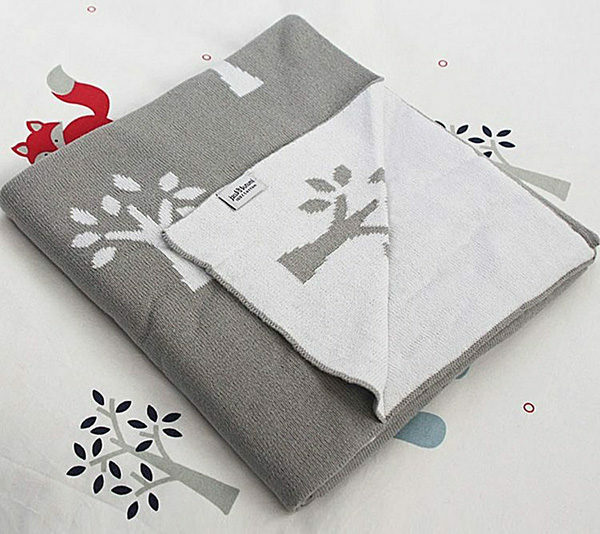 Super cute Tree of Life and Snowflake designs are expertly woven into signature Jacob & Bonomi cotton pram and bassinet blankets. Of course they’re double knitted and machine washable to tick the boxes of both style and practicality! We love that they’re unisex and modern, not a hint of traditional about it, yet soft and luscious for that tiny baby to snuggle into. This makes the perfect baby shower or newborn gift, sure to be passed down to the next baby and stored until the grandkids arrive! Currently priced from $17, shop direct at Jacob & Bonomi.